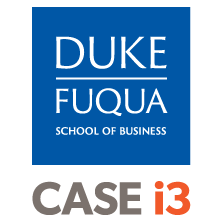 In 2015 CASE i3 launched the CASE Impact Investing Research Group via a LinkedIn Group. The goal of this group is to facilitate high quality research, data and knowledge surrounding the emerging field of impact investing, across geographical, domain and other boundaries. We invite all academic or non-academic researchers interested in building knowledge on the intersection of finance and creating social and environmental impact to join this group – including PhD students, consultants, and for profit or nonprofit research managers. This group builds on CASE i3’s proven expertise in stimulating and supporting high quality global research on for-profit social entrepreneurship and impact investing funds and their investees, most recently demonstrated in our five year project with B Lab and the Rockefeller Foundation. Through this project, we built datasets for impact investing research and shared research data with over 34 researchers at 18 universities, including Harvard, Wharton, Emory, University of Cambridge and SUNY Binghamton. To read more about that project, and to see a list of research outcomes, visit our webpage about the CASE i3 B Lab and GIIRS Research Project. Join the group today and start participating in discussions about this important research!